Zorch Radio Episode 323: Wanna Go FAST! Zorch Radio Episode 316: The G-Man! Zorch Radio Episode 321: LUISONZ!!! Zorch Radio Episode 306: 3-2-1 Lucha! Zorch Radio Episode 296: Zorch Invasion VI Announced! Zorch Radio Episode 266: Where’s HoDaddy?! Zorch Radio Episode 265: It’s ALIVE! Zorch Radio Episode 264: Who’s Next? Zorch Radio Episode 263: Foresight & TrashGasm!! Zorch Radio Episode 261: Get Traditional! Zorch Radio Episode 259: Pass the Stuffing! 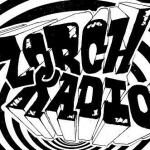 Zorch Radio Episode 251: Fresh Juice!! !